Enjoy 😉 I don’t like looking at myself in the video (in Italian, as always). Sorry, the video is not available any longer! This entry was posted in Events and tagged competition, Events, interview, smau on October 18, 2008 by Martino Jerian. 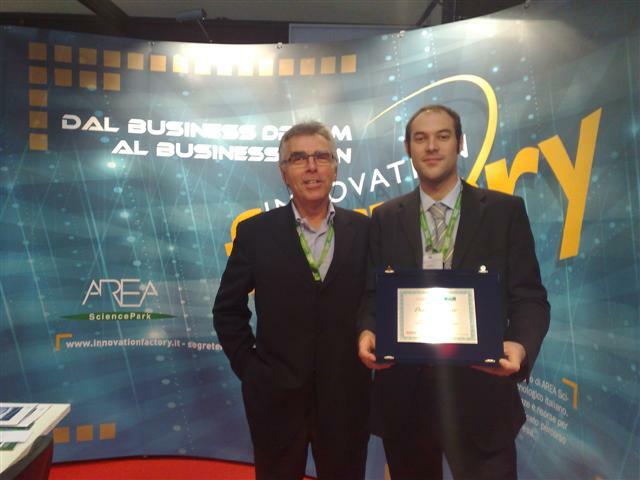 We’re proud to say that we just won the first prize at the TechGarage 2008 business plan competition, which was held at the SMAU exhibition, the main Italian event for the ICT. Update: see the news on ItalianInnovation, AGI, triestecittadellascienza,The Inquirer, Torino Valley. This entry was posted in Events and tagged competition, Events, smau on October 17, 2008 by Martino Jerian. This entry was posted in Events and tagged Events, interview, press, smau on October 15, 2008 by Martino Jerian.